Mitch's RAIN JACKET with a light grey interior. 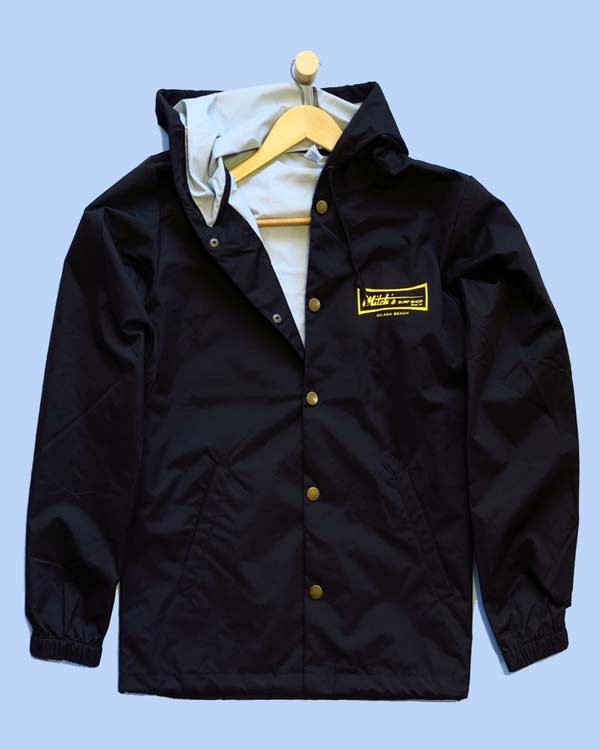 Rainproof nylon material with hood and outside pockets. Tough grommet snap closures, hood tiedowns and elastic at wrist. "Mitch's Surf Shop Since '67, Solana Beach" logos on front and back.